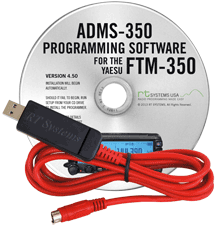 RT Systems ADMS-DX5000-USB Programming software makes it easy to manage memory channel information and other menu settings of the Yaesu FT-DX5000. 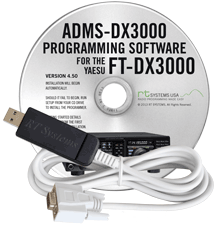 RT Systems ADMS-DX3000-USB Programming software makes it easy to manage memory channel information and other menu settings of the Yaesu FT-DX3000. 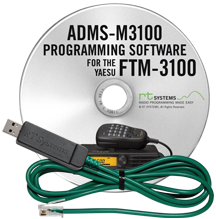 RT Systems ADMS-DX1200-USB Programming software makes it easy to manage memory channel information and other menu settings of the Yaesu FT-DX1200. 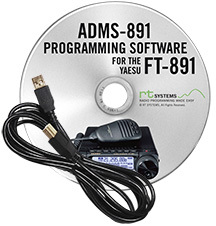 RT Systems ADMS-FT991A-USB Programming software makes it easy to manage memory channel information and other menu settings of the Yaesu FT-991A and FT-991. 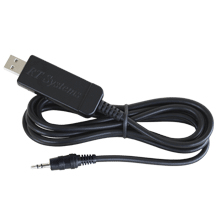 RT Systems ADMS-FT891-USB Programming software makes it easy to manage memory channel information and other menu settings of the Yaesu FT-891. 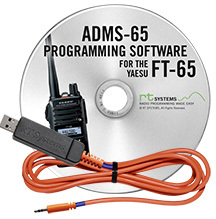 RT Systems ADMS-4B-USB Programming software makes it easy to manage memory channel information and other menu settings of the Yaesu FT-857 & FT-897. 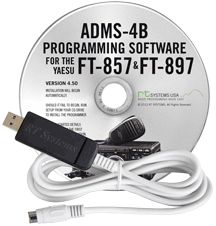 RT Systems ADMS-4A-USB Programming software makes it easy to manage memory channel information and other menu settings of the Yaesu FT-817. 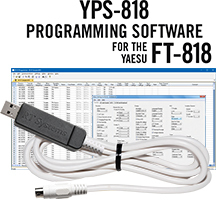 RT Systems YPS-818-USB Programming software makes it easy to manage memory channel information and other menu settings of the Yaesu FT-818. 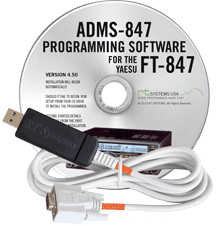 RT Systems ADMS-847-USB Programming software makes it easy to manage memory channel information and other menu settings of the Yaesu FT-847. RT Systems YPS-7250 Programming software makes it easy to manage memory channel information and other menu settings of the Yaesu FTM-7250. The RT Systems programmer, ADMS-M3200-USB, allows you to program memory channels and settings of the radio. 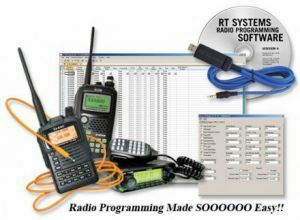 This is an RT Systems programmer with all the editing ease and file interaction that you have come to love. 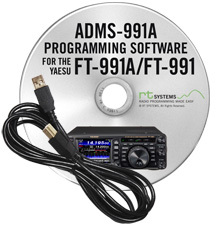 The RT Systems programmer, ADMS-M3100-USB, allows you to program memory channels and settings of the radio. 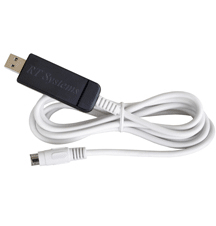 This is an RT Systems programmer with all the editing ease and file interaction that you have come to love. 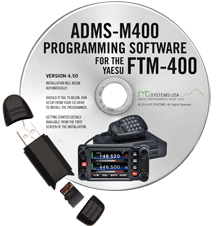 RT Systems ADMS-M400-RSD Programming software makes it easy to manage memory channel information and other menu settings of the Yaesu FTM-400. Transfer data to the radio using a micro SD card. No need to move the radio from the car. Easily carry the program to the radio. RT Systems ADMS-M350-USB Programming software makes it easy to manage memory channel information and other menu settings of the Yaesu FTM-350. 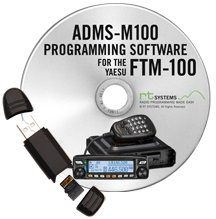 RT Systems ADMS-M100-RSD Programming software makes it easy to manage memory channel information and other menu settings of the Yaesu FTM-100. RT Systems ADMS-1G-USB Programming software makes it easy to manage memory channel information and other menu settings of the Yaesu VX-7. 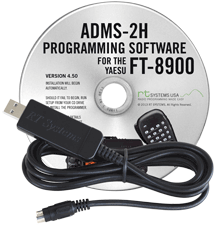 RT Systems ADMS-2H-USB Programming software makes it easy to manage memory channel information and other menu settings of the Yaesu FT-8900. RT Systems ADMS-21-USB Programming software makes it easy to manage memory channel information and other menu settings of the Yaesu FT-8800. 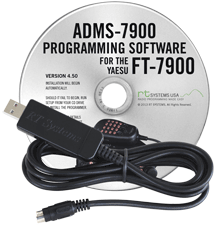 RT Systems ADMS-7900-USB Programming software makes it easy to manage memory channel information and other menu settings of the Yaesu FT-7900. 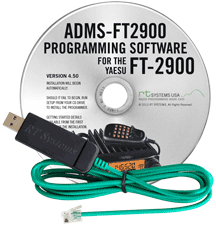 RT Systems ADMS-FT2900-USB Programming software makes it easy to manage memory channel information and other menu settings of the Yaesu FT-2900. 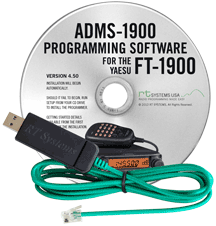 RT Systems ADMS-1900-USB Programming software makes it easy to manage memory channel information and other menu settings of the Yaesu FT-1900. RT Systems ADMS-250-USB Programming software makes it easy to manage memory channel information and other menu settings of the Yaesu FT-250. 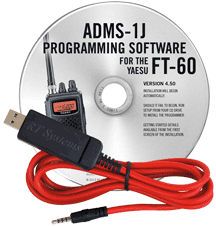 RT Systems ADMS-1J-USB Programming software makes it easy to manage memory channel information and other menu settings of the Yaesu FT-60. 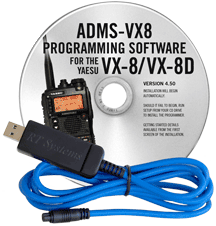 RT Systems ADMS-VX8-USB Programming software makes it easy to manage memory channel information and other menu settings of the Yaesu VX8 & VX-8DE. 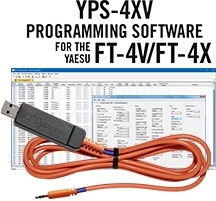 RT Systems ADMS-VX6-USB Programming software makes it easy to manage memory channel information and other menu settings of the Yaesu VX-6. RT Systems ADMS-VX5-USB Programming software makes it easy to manage memory channel information and other menu settings of the Yaesu VX-5. RT Systems ADMS-VX3-USB Programming software makes it easy to manage memory channel information and other menu settings of the Yaesu VX-3. 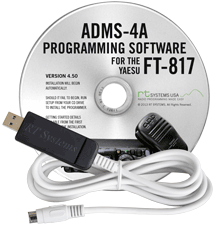 The RT Systems programmer, ADMS-70-USB, allows you to program memory channels and menu settings of the radio. This is an RT Systems programmer with all the editing ease and file interaction that you have come to love. 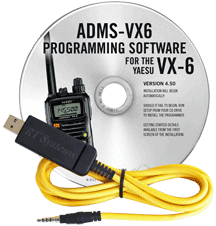 The RT Systems programmer, ADMS-65-USB, allows you to program memory channels and menu settings of the radio. 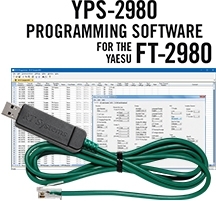 This is an RT Systems programmer with all the editing ease and file interaction that you have come to love. The RT Systems programmer, ADMS-25-USB, allows you to program memory channels and menu settings of the radio. This is an RT Systems programmer with all the editing ease and file interaction that you have come to love. 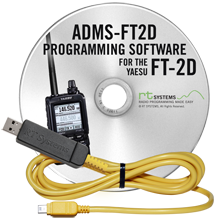 RT Systems ADMS-FT2D-USB Programming software makes it easy to manage memory channel information and other menu settings of the Yaesu FT-2D. 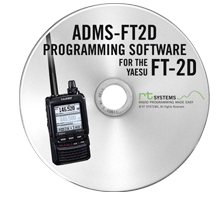 RT Systems ADMS-FT2D Programming software makes it easy to manage memory channel information and other menu settings of the Yaesu FT-2D. 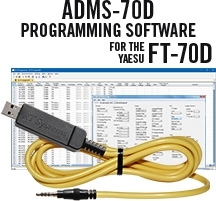 RT Systems ADMS-FT1D-RSD Programming software makes it easy to manage memory channel information and other menu settings of the Yaesu FT-1D. 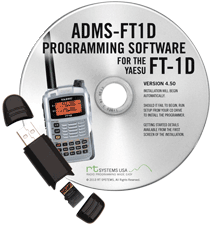 RT Systems ADMS-FT1D-USB Programming software makes it easy to manage memory channel information and other menu settings of the Yaesu FT-1D. 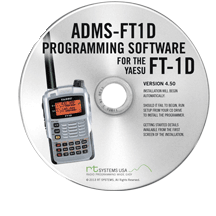 RT Systems ADMS-FT1D Programming software makes it easy to manage memory channel information and other menu settings of the Yaesu FT-1D. 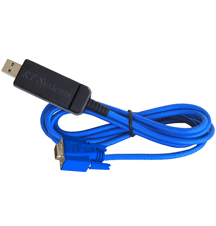 Works with the original SCU-18 cable. 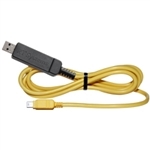 Does not work with the new SCU-19 cable.